: from my grandmother who listened to him when i was a child. and i just fell inlove with it when i got older. : i really dont know. : my favorite song is "can't help falling in love"
: i wasn't born yet. but i was very sad when i herd about it. : because he was the king. he wil live on always! his music was wonderful, his movies were great, its just amazing. Thank you for taking part in our survey Bri. Everything about Elvis was just perfect he was an amazing man. 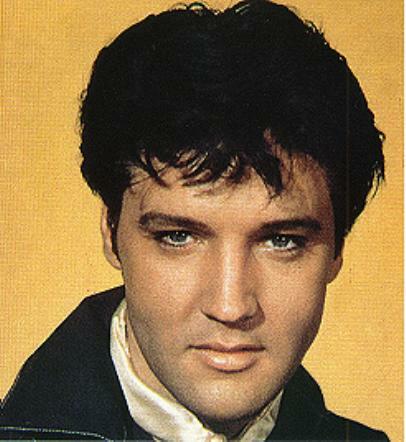 Elvis Presley`s memory and music will always be treasured he touched so many. SITE DISCLAIMER: The Elvis Presley biography information and resources on this site are provided for your entertainment only. No content on this site is intended to be a substitute for therapy or professional advice. While all attempts have been made to verify information provided in this Elvis Presley publication, neither the author nor the publisher assumes any responsibility for errors, omissions or contrary interpretation of the Elvis Presley biography or Elvis Presley picture subject matter herein. There is no guarantee of validity of accuracy of any Elvis Presley content. Any perceived slight of specific people or organizations is unintentional. This Elvis Presley biography website and its creators are not responsible for the content of any sites linked to.